Have you ever wondered how the food you eat -- a potato chip, for example -- goes from being a potato to a chip? 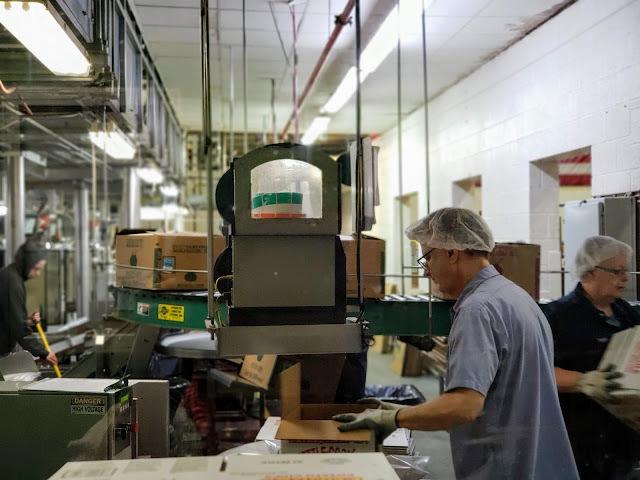 You can find out on the Martin's Snacks Factory Tour. For children and adults alike, factory tours demystifies the manufacturing process. 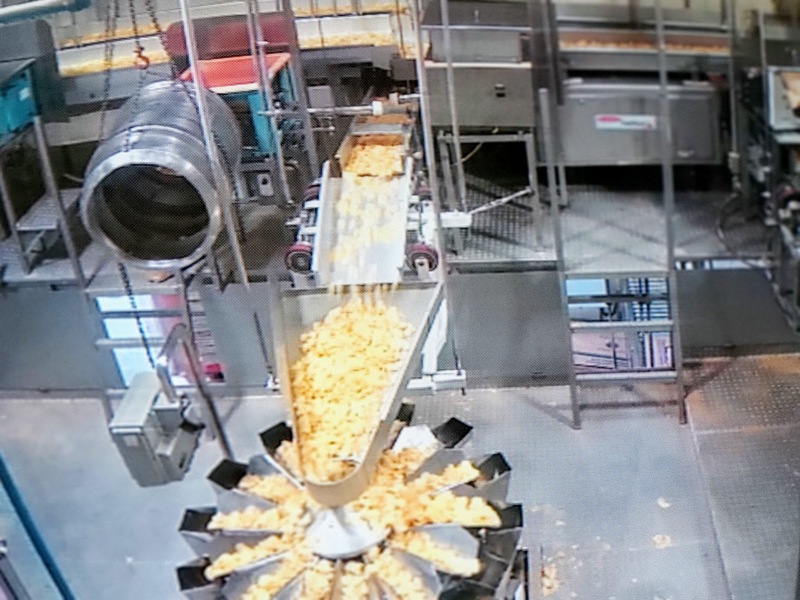 During the tour, you get to see the start-to-finish process of making potato chips. 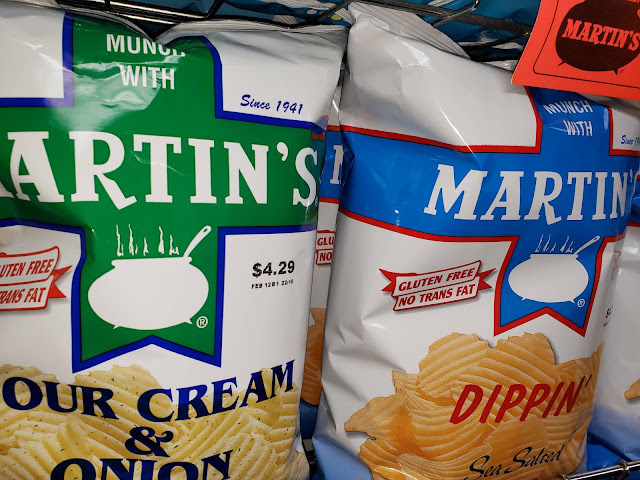 Martin's got started in 1941 when Fairy Martin was astonished when she saw her son purchasing potato chips one day -- she knew she could make it herself, for cheaper and better. She fried up some chips, except there were a lot, so she bagged them in brown paper bags and brought them to market that weekend. They sold out, and she thought, "that was that." The following weekend, however, her customers looked for the potato chips again. Wanting to please her loyal customers, the following weekend, she brought plenty to sell. Martin's Potato Chips was born. Their business soon outgrew the kitchen, eventually becoming renamed as Martin's Snacks. 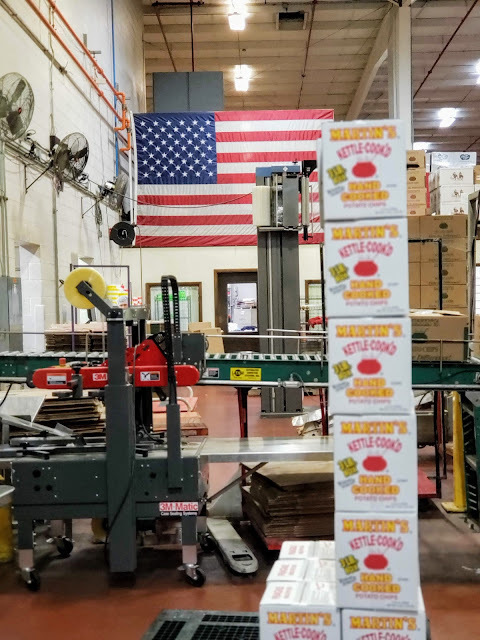 Martin's built a small factory and expanded its distribution from delivering fresh daily to market stands, to also selling to mom and pop grocery stores. 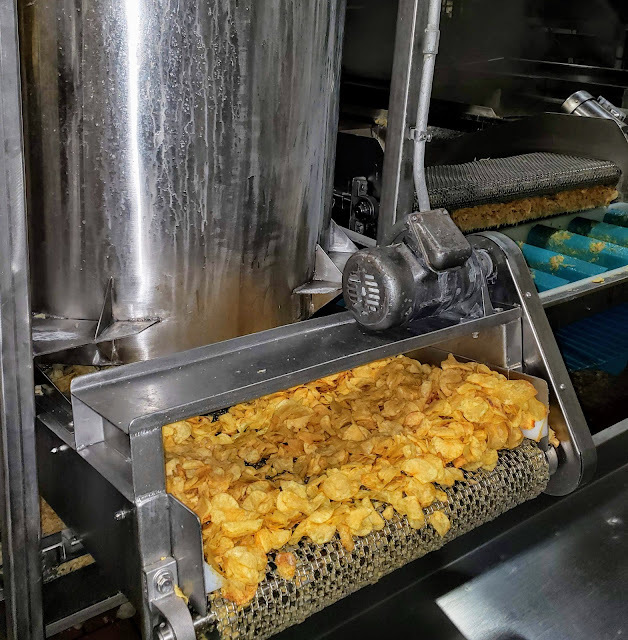 By 1964, Martin's had installed its first automated potato chip fryer and automatic bagging machine. Today, the factory tour starts outside, not far away from the original factory. Standing by the truck unloading area, we learned the history of Martin's and enjoyed seeing a truck unloading potatoes to enter the factory. And by enjoy, I truly mean enjoy. 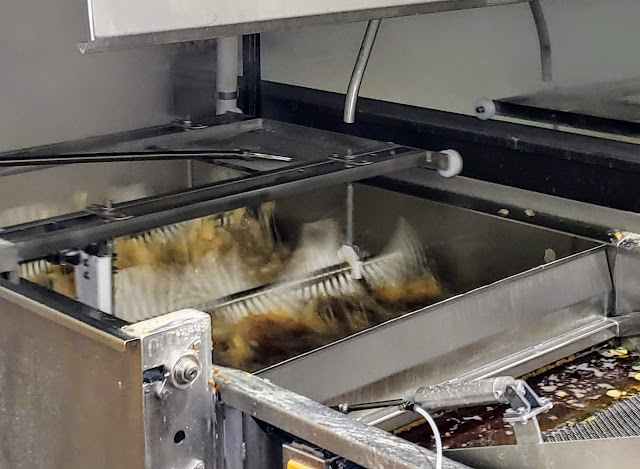 It's fascinating, listening to the potatoes rumble down from inside the truck into the conveyor belt, which shakes off excess dirt and conducts the first sort of the potatoes, by size. Smaller potatoes slip down, landing on the ground below the conveyor belt. This eventually gets scooped up and sent to a local farm as animal feed. 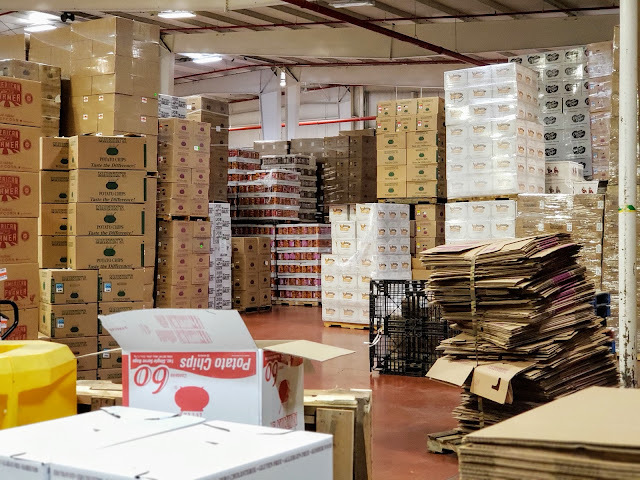 The factory receives about four truckloads of potatoes a day. .... and put into a conveyor belt and taken up for packaging. It happens pretty quickly. We then toured the warehouse and learned how items are packed and shipped. A series of cameras offer a bird's eye view of the packaging operation in real time. Unlike a lot of other tours, you really were in the guts of the operation. 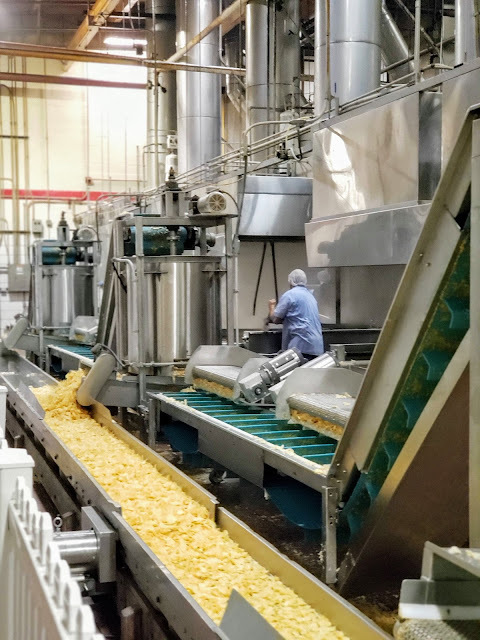 The best part is they bring you fresh chips and popcorn to try right off the production line. In 1971 the business was sold to Ken and Sandy Potter with the Martin family remaining as employees. Ken Potter had learned the potato chips business by working at El-Ge Potato Chip Company for 16 years. One route truck handled all deliveries. Bar-B-Que Waffle chips were the #1 selling item. By 1990, Martin's growth had exceeded its factory’s capacity. A new 40,000 square-foot factory was constructed on the same property. The old factory was re-purposed for office space, box storage and vehicle maintenance. 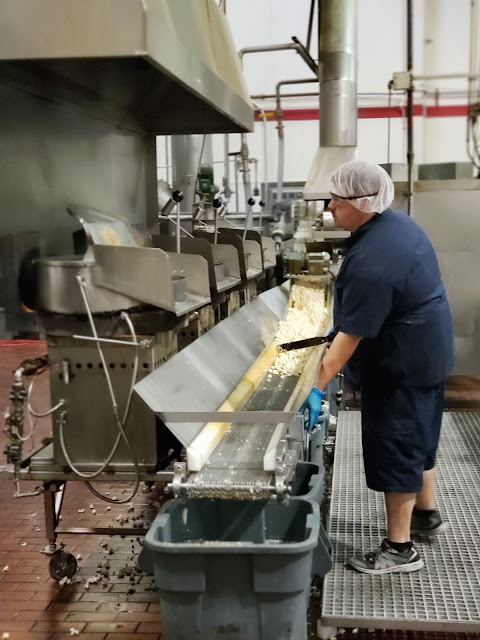 In 1994, Martin's added popcorn production to the facility. 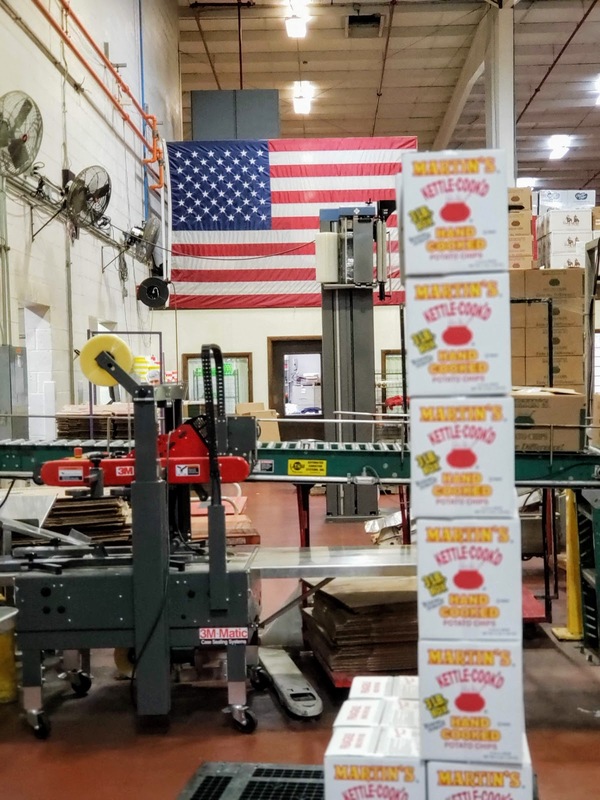 Since then, its butter popcorn has become the most popular ready-to-eat butter popcorn in central PA.
You can find Martin's potato chips and snacks in stores between New York and North Carolina. Most of the waste generated by Martin's is used by local farms for feed (if edible), for soil amendment (dirt and mud) and for fertilizer (wash water). Cooking oil waste is used by a rendering plant for use in many other products. Metal scraps and used motor oil from maintenance operations are recycled. Know before you go: Martin's only provides factory tours on Tuesdays. Call well ahead to arrange the tour, as during popular periods, they fill up.